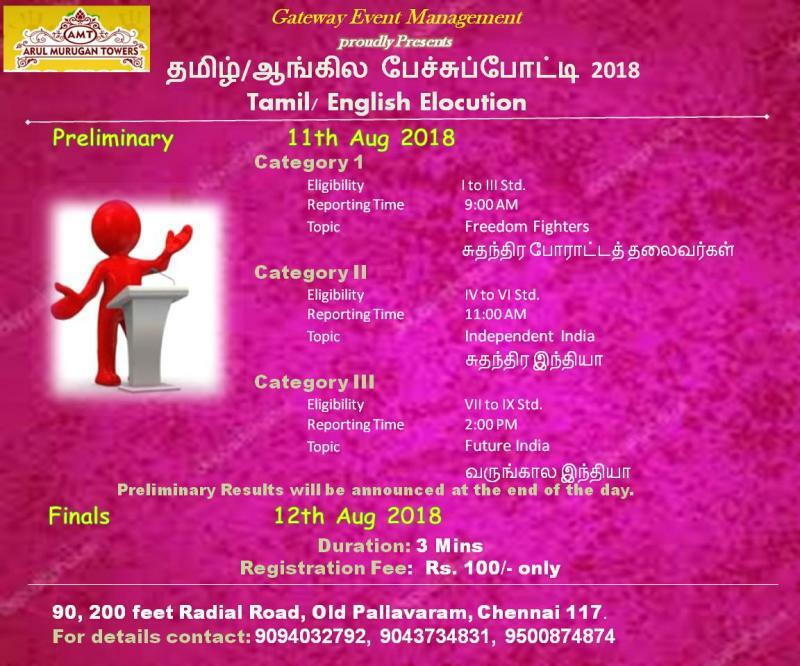 Gateway Event Management, conduct workshops for Kids and Parents, Competitions, Exhibitions and other Entertaining programs in and around Pallavaram, Chennai. 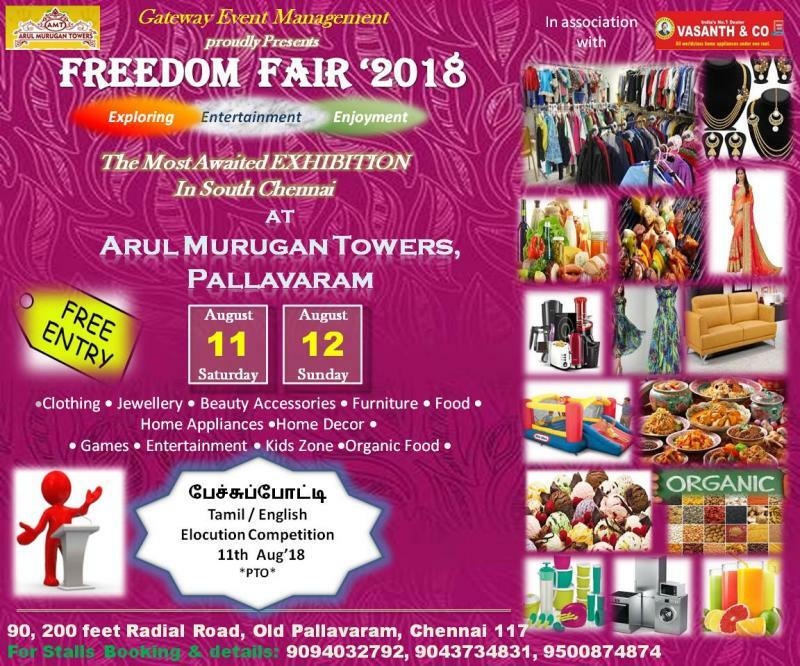 Greetings from Gateway Event Management & Arul Murugan Towers, Pallavaram !! Registration Fee: Rs. 100/- only.